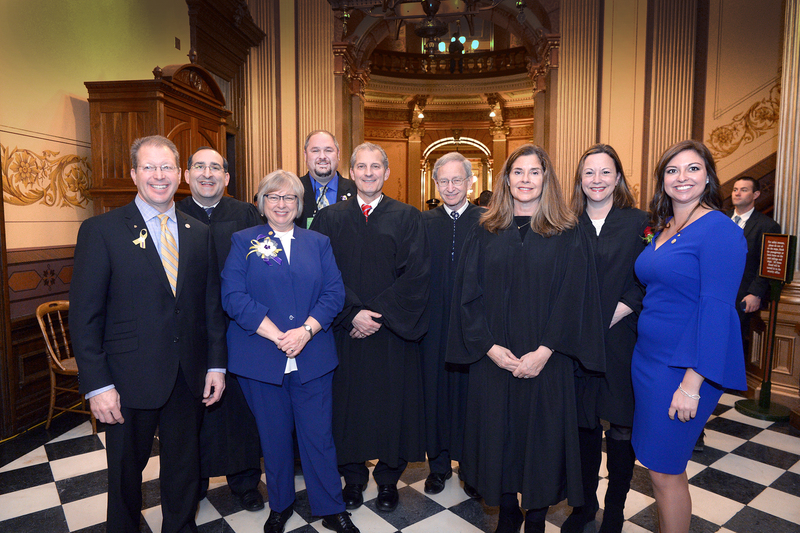 LANSING, Mich. — Sen. Dan Lauwers, R-Brockway Township, (left) and the Michigan Supreme Court justices stand outside the Michigan House of Representatives chamber. Lauwers led the justices into the chamber Tuesday night to hear Gov. Gretchen Whitmer’s 2019 State of the State address. Note: For a print-quality version of this or other Lauwers photos, click the image or select “Photos” under the In the News tab, above.